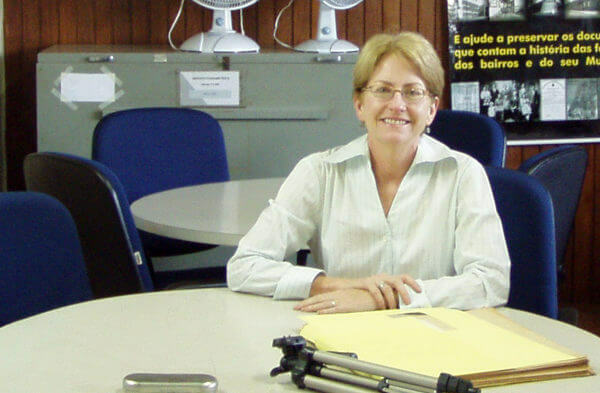 Anne Hanley, associate professor of history and interim director of the Center for Non-Governmental Organization Leadership and Development (NGOLD), has been awarded a National Endowment for the Humanities Summer Stipend Award to continue her research on how the first census and the adoption of the metric system affected Brazil’s economy. “This project opens an investigation into the history of Brazil’s domestic economy, where most Brazilians lived and worked, and where government initiatives had the greatest potential to affect their quality of life and standard of living,” she explained. Her work is part of a new book-length project, “1872: Standardizing the Brazilian Nation,” chronicling Brazil’s domestic economic development. This project follows quickly on the heels of her most recent book, The Public Good and the Brazilian State: municipal finance and public services in São Paulo, Brazil 1822-1930, which will be published in March 2018 by the University of Chicago Press. Brazil’s export economy has been widely researched since it produces the wealth, said Hanley, an expert on the Brazilian economy. Following the completion of this leg of her research, she will begin exploring the economic impact of these policies on the domestic exchange of goods and services and on the national economy. She saw her research as an opportunity for students to contribute and get valuable hands-on experience. Justin Suggs, a fall 2014 URAP apprentice and a history major who went on to complete his master’s degree at the University of Chicago, researched the implementation of censuses in North America and Europe to understand the historical uses and designs of the census in the eighteenth and nineteenth centuries. Rachel Jacob, currently a senior history major, researched the history of weights and measures in North America and Europe supported by the Student Engagement Fund in fall 2015. Jacob’s work included how nations implemented the metric system in order to understand how Brazil’s measurement system worked, how it compared to systems elsewhere and the rationale policymakers used to move to the metric system. Journey Steward, a history Ph.D. degree candidate, joined the project as a Great Journeys research assistant during the 2015-16 academic year, thanks to funding by the Graduate School. Steward assisted Hanley in laying the foundation for her research – from identifying funding agencies and sources to honing research questions and developing funding proposals. Research by José Soto Jr., a master’s student in economics, and by Meagan Phillips, a master’s student in philosophy, round out the team that has contributed to this project. Soto and Phillips dug into the primary sources to help figure out which bodies of data were likely to yield the best results. Hanley, who has taught at NIU since 1999, is the author of “Native Capital: Financial Institutions and Economic Development in São Paulo, Brazil 1850-1920” (Stanford 2005).